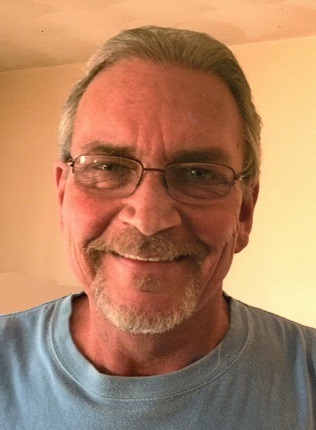 Gregory R. "Greg" Birge, age 59, of Jasper, Indiana, passed away at 6:00 p.m. on Friday, July 20, 2018, at Memorial Hospital and Health Care Center in Jasper, Indiana. Greg was born in Medford, Oregon, on December 20, 1958 to Ray and Doris (Burritt) Birge. He graduated from Freemont High School in 1977. He was a United States Army Veteran, serving from 1978-1984. He was a deputy sheriff in San Joaquin, California from 1990-1995. He attended the University of Phoenix, where he earned an Associate's Degree in Business. He worked as a salesman for Stens for 10 years. He was a member of the Jasper Moose and the NRA. Greg enjoyed shooting sports, cooking, hunting and fishing, and loved watching golf. He also had a passion for helicopters. Surviving are one daughter, Sophie Birge, two sons, Max Birge, both of Jasper, IN, Greg Jr. (Kristin) Birge, Atlanta, GA, father and step-mother, Ray and Anne C. Birge, Lincoln, CA, step-father, George Stegemann, San Ramon, CA, one sister, Michelle (Rick) Kroetch, Somerset, CA. Preceding him in death is his mother Doris Stegemann. A service for Greg R. Birge will be held at 7:00 p.m. on Tuesday, July 24, 2018, at the Becher-Kluesner Downtown Chapel in Jasper, with burial to follow at a later date. Fr. John Boeglin will officiate. The American Legion Post #147 will conduct military rites. A visitation will be held from 3:00 p.m. until the 7:00 p.m. service time at the Becher-Kluesner Downtown Chapel in Jasper, Indiana. Memorial contributions may be made to the Lange-Fuhs Cancer Center.